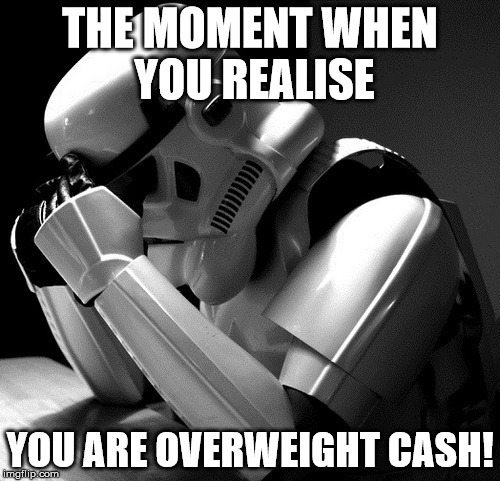 Tuesday 3rd May-Australian Market Wrap | Beeks Downunder-Because not all financial news is boring! ASX 200 leaps 110.8 points to 5353.8 on bank reversals and RBA rate cut to 1.75%. Financials lead the way higher after a reassessment of ANZ results. 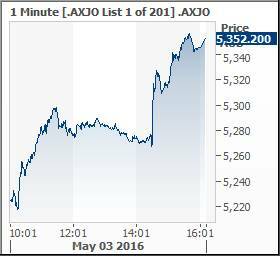 The ASX 200 is now in positive territory for the year. 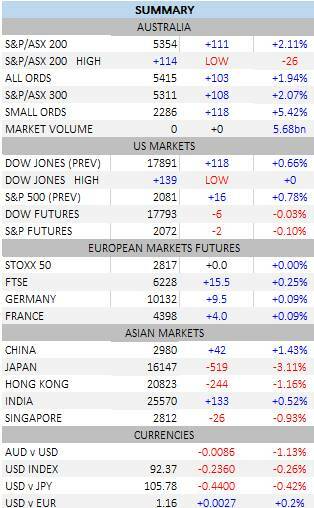 Asian markets remain affected by holidays in Japan but China back online up 1.52%. AUD falls to 75.8 cents US Futures down 6. ‘Super Tuesday’ has lived up to expectations with a huge bank rally and a rate cut forcing shorts to scramble for cover. We are now up 30 points since the start of the year. An extraordinary day with the ANZ results out first thing setting us up for another negative day but it seemed that the press conference and subsequent in-depth analysis of the ANZ result gave the bulls a reason to be cheerful. From being down almost 4% on the opening, ANZ rallied hard to be up over 5.5%. It seems the market considers the sell-off overdone and the new CEO has done the right thing in clearing the decks. The rebound took the bears by surprise and the whole sector rallied hard talking the rest of the market with it before we drifted back at lunch to be up around 30…before the RBA news. To put it into perspective, the basket of banks (sum total of big four shares) is trading around $158 up from $147 and down from $215 in March 2015. Plenty of upside if this rally takes hold. The RBA cut rates at 2.30pm and sent a cheer through the market as we soared through the psychological 5300 level and the AUD fell a cent and a half. Record low rates again with National Australia Bank the first to pass on the full 25bps cut to variable mortgage holders. Positive PR for the sector. Finally. It seems that many fund managers and traders have been caught either short or with too much cash and have now been forced to chase the market higher. Volume was stronger than we have seen for a while at around $6bn so it seems that more traders are being dragged off the sidelines. We have now broken out of the range and could continue to move higher if resource stocks kick in as well. Budget tonight but suspect that most of the big items have already been leaked. Resources failed to get the invite to the party today as iron ore futures slipped in China. 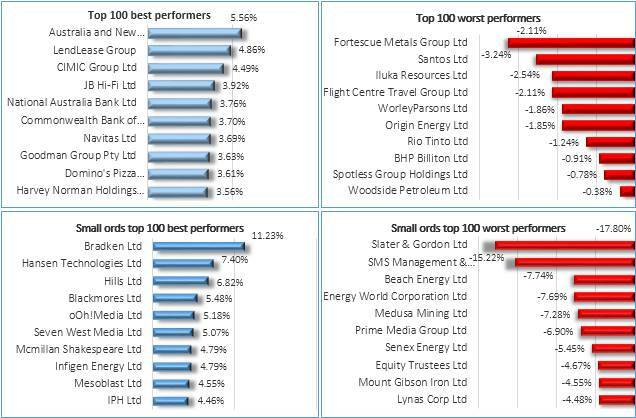 BHP-0.91%, RIO -1.24% and Fortescue Metals (FMG) -3.24%. Base metals were mixed with Galaxy Resources (GXY) +5.48%, Pilbara Minerals (PLS) +1.54% and Syrah Resources (SYR) +2.45% to the good whilst Oz Minerals (OZL) -1.14%, Independence Group (IGO) -0.93% together with Iluka Resources (ILU) -2.11%. Golds were mainly better Oceanagold Corp (OGC) +0.84%, Regis Resources (RRL) +3.00%, Perseus Mining (PRU) -3.79% and Newcrest (NCM) +0.55%. 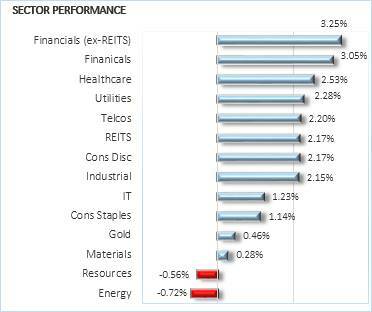 Energy stocks missed out too with Santos (STO) -2.54%, Woodside (WPL) -0.38% and Origin Energy (ORG) -1.85%. Beach Energy (BPT) -7.74% was a heavy faller. Financials and banks were where the action was. An extraordinary bounce from the opening minutes with Commonwealth Bank (CBA) +3.7%, Australian and New Zealand Bank (ANZ) +5.56%, National Bank (NAB) +3.76% and Westpac (WBC) +2.34%. Macquarie Group (MQG) +3.03% and other wealth mangers improved Magellan Financial (MFG) +3.4% and BT Investment (BTT) +3.67%. REITS were strong as you would expect with the rates falling Westfield (WFD) +1.57%, Goodman Group (GMG) +3.63%, Scentre Group (SCG) +1.71% and Lend Lease (LLC) +4.86%. Industrials better, infrastructure stocks doing well, Transurban (TCL) +2.21%, Sydney Airport (SYD) +2.64%, Cimic Group (CIM) +4.49% and boring Brambles (BXB) +1.76%. Even Macquarie Atlas Road (MQA)+3.04% firmed on currency expectations against the EUR. Telstra (TLS) +2.36% also rallied again as an interest rate play with healthcare stocks also in demand on the falling AUD. They were a little subdued due to the budget tonight and any possible changes but overseas earners and businesses benefited most. CSL +3.25%, Cochlear (COH) +3.43%. Consumer stocks also a winner from the rate cut with JB HiFi (JBH) +3.92%, Harvey Norman (HVN) +3.56% and even Myer (MYR) +3.92% with Audio Pixels (AKP) +6.36% a standout. Speculative stock of the day: IOT Group (IOT) +66.67% has signed an exclusive agreement with TOP TECH of the US for the mass distribution of its ROAM-E product. The company is behind the ‘flying selfie drone’ and a range of smart wearables using the internet of things. Australia and New Zealand Bank (ANZ) +5.56% announced a fall in cash profits of 24% and a dividend cut to 80 cents with a similar amount expected for the final dividend. The bank took $717m in one off charges which were taken as a deck-clearing exercise by the market and new CEO Elliott was rewarded with a sharp snapback from initial pessimism. The bank also set up a target dividend payout ratio of 60-65% which is seen as resetting of expectations.The reaction was in stark contrast to the Westpac decision to keep its dividend unchanged. Much like BHP cutting its dividend and giving shareholders some tough love. Woolworths (WOW) +0.09% after same store food and liquor sales went backwards by 0.9% after adjusting for the Easter period (compared to Coles +5.9%) but new CEO Brad Banducci also stressed that high levels of deflation continued to affect the supermarket business. Sales from general merchandise fell 4.6% as Big W continues to suffer. Ironically Masters sales have increased 30%. Surfstitch (SRF) -53.62% slashed full-year profit guidance, warning that EBITDA is expected to plunge at least 61% to between $2m-$3m for the year ending June. The new guidance compares with their original forecasts between $15m-$18m Surfstitch did not provide an update on ex CEO Justin Cameron’s plans for a private equity-backed bid for the company. The big news today was the RBA cutting rates. Historic low of 1.75%. 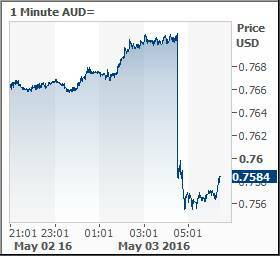 AUD falls over a cent on the news. “The available information suggests that the economy is continuing to rebalance following the mining investment boom. GDP growth picked up over 2015, particularly in the second half of the year, and the labour market improved. Indications are that growth is continuing in 2016, though probably at a more moderate pace. Labour market indicators have been more mixed of late”. “The Board took careful note of developments in the housing market, where indications are that the effects of supervisory measures are strengthening lending standards and that price pressures have tended to abate. At present, the potential risks of lower interest rates in this area are less than they were a year ago”. For a full statement from the RBA. Approvals for the construction of new homes rose 3.7 % in March, which was better than market expectations of a 2.0 % drop. 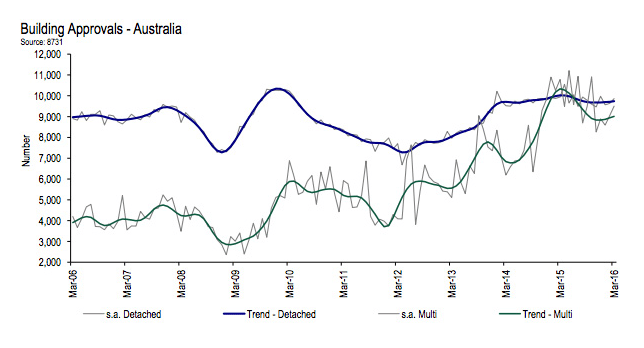 Over the 12 months to March, building approvals were still down 6.5 %. Approvals for private sector houses rose 2.6 % in the month, and the ‘other dwellings’ category, which includes apartment blocks and townhouses, was up 6.7 %. Dalian coking coal slid 5.9% to as low as 715 yuan a tonne before slightly trimming losses to stand at 717 yuan by midday. Coke slipped 2.3% to 1065.50 yuan a tonne. HSBC Holdings Plc, Europe’s largest bank, reported a bigger than expected profit even as bad-loan charges surged. Pre-tax profit fell to US$6.1bn from US$7.1bn a year earlier that compared with the US$4.3bn consensus forecast. Charges for bad loans doubled to US$1.16bn, compared with an estimate of US$999m. Enjoy the new bull market!